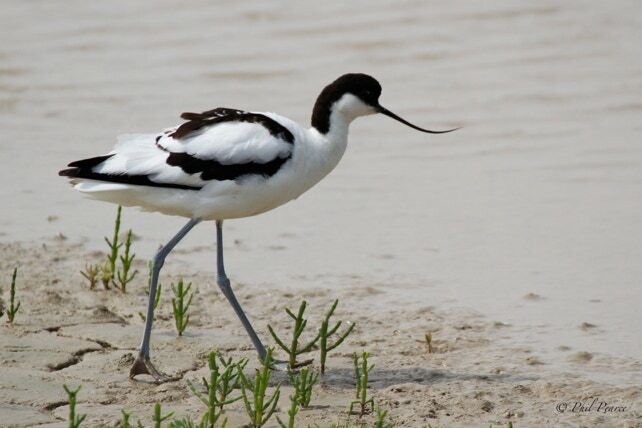 A distinctively patterned black and white bird with a long upturned beak is recovering from near extinction and is now a regular sight in coastal lagoons and estuaries in winter. It has an 80cm wingspan and is 45cm in length. They have blue legs and a black long thin curved beak.